Dubai is the second largest of the The United Arab Emirates, offering world-class facilities juxtapositioned with the intriguing old-world smells, sounds and charm evocative of the Middle East. That elusive and much needed winter sun that the British so covet is here is spades - to be enjoyed in true desert fashion or amidst the buzz of the waterfront and the best thing is that it's within easy reach. Dubai makes an excellent short break destination or can be combined with a stay in neighbouring Oman for a more wildlife-based experience. Or, consider a two centre holiday - Emirates fly onwards to many destinations such as South Africa, making it is possible to enjoy desert, city, safari and beach - an enviable combination we're sure you'll agree! Few other destinations can surpass Dubai for sheer audacity when it comes to putting on a show. There is something for everyone and it is all here in fabulous technicolour. With a staggering array of options for sight-seeing, one thing is for sure you will not be bored. Popular spots include the Dubai Museum, Sheikh Saeed’s House, The Bastakiya cultural walk, Jumeira Mosque, an ‘Abra’ river taxi ride or Dhow cruise. 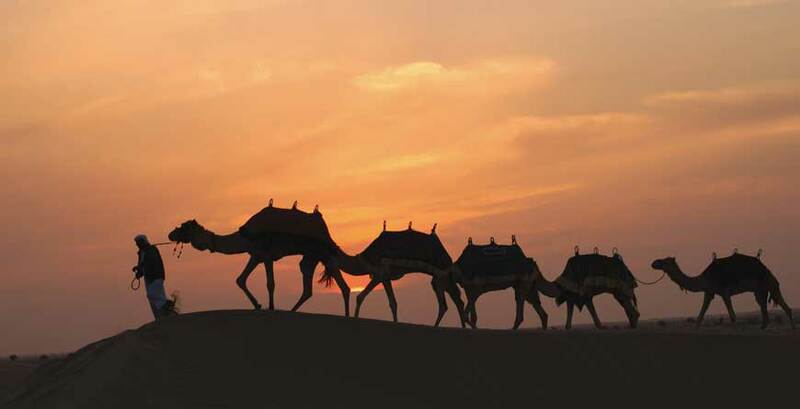 Alternatively take off into the desert to try your hand at camel riding or watch an impressive falconry display. For a modern day experience, visit the Nad Al Sheba racecourse, venue of the world’s richest horse race, the Dubai World Cup. Golfers will also appreciate the numerous internationally acclaimed golf courses, whilst adrenalin-seekers can take to the slopes at Ski Dubai, an astounding indoor snow zone or try Wadi Bashing - traversing rocky valleys in a four wheel drive. Wild Wadi Water Park also offers a jaw-dropping range of fun rides, from hurtling down the 33m high Jumeirah Sceirah at 80 km per hour to cruising on the gentle current of Juha’s Journey lazy river. 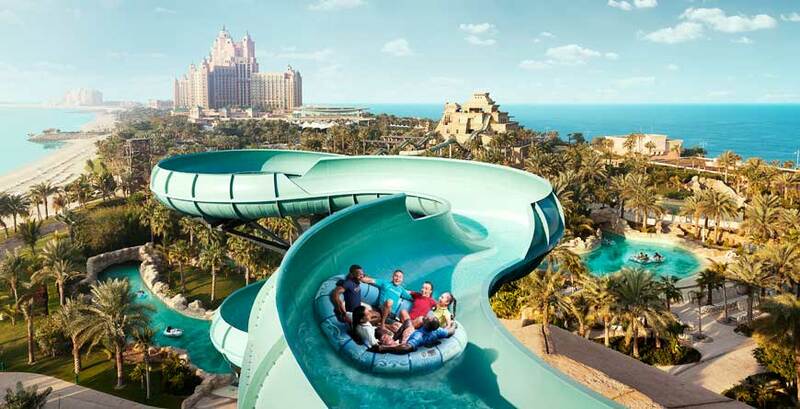 The Palm is also host to Aquaventure, the piece-de-resistance being a slide through a shark-infested lagoon, thankfully enclosed! Long before the discovery of oil, Dubai was known as the 'City of Merchants', welcoming traders from afar. Today sophisticated shopping venues such as the Mall of the Emirates house designer brands alongside local shops. Traditional Arabian souks abound, with everything from spices to carpets and a trip to the fascinating gold souk is a must, even if your spending money doesn't quite stretch to platinum and diamonds. The Emirate, being a hub for business as well as tourism, is a melting pot of nationalities and although the official language is Arabic, English is widely spoken.